A US jury has awarded $US81 million ($114 million) in damages to a man who said his use of weed killer Roundup caused his cancer. The finding is a considerable setback for pharmaceutical company Bayer AG, as it faces thousands of similar lawsuits. The San Francisco Federal Court jury said Bayer AG was liable for plaintiff Edwin Hardeman's non-Hodgkin's lymphoma, and awarded $US5.9 million in compensatory damages and $US75 million in punitive damages to Mr Hardeman. The jury found that Roundup was defectively designed, and that its producer Monsanto acted negligently by failing to warn of the herbicide's cancer risk. Bayer bought Monsanto last year for $US63 billion, and says it will appeal the verdict. 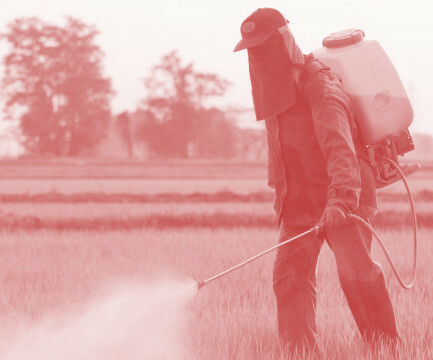 The trial is the second of over 11,200 Roundup lawsuits waiting to go to trial in the US. Reports say the US case has triggered interest in launching similar legal action in Australia. Maurice Blackburn Lawyers' Queensland principal Jonathan Walsh similar expert evidence could form part of local court cases. “These decisions coming out are heartening for plaintiffs here in Australia, to continue pursuing legal entitlements,” Mr Walsh told the ABC. “The expert evidence used in the US is comparable and can be used in Australian cases; however, standards could make a similar judgement more difficult. The chair of Grain Producers Australia told reporters he had no concerns about Roundup’s safety. Agricultural chemical lobby Croplife Australia also said the findings of the US jury should not be extrapolated globally.